The western world tends to view Asian tea culture as classical and rigidly traditional. While this can be true for certain geographical regions or rituals i.e. Japanese tea ceremony; much of this idea should be discarded for the ever-changing Chinese and Taiwanese tea. Since the first tea bushes were planted on Taiwan, Taiwanese tea has been extremely dynamic with dramatic changes in style. Some of this has included clever experimentation (Gui Fei Mei Ren) but most if not all can be viewed through the lense of economics and history. Mid 1800s – Tea was introduced to Taiwan. Origin stories vary. Tea was primarily processed in a style similar to Wuyi tea. 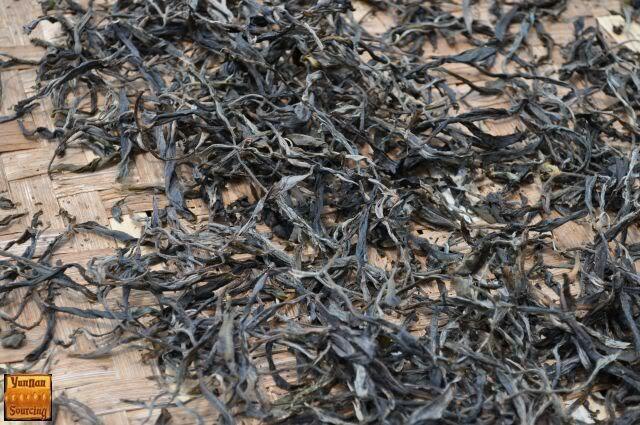 This style featured low oxidation and tea was even sometimes shipped to China for the final steps of processing. During this period it was exported to the west (Europe/America). 1895-1945 – The Japanese occupation of Taiwan. The Japanese brought the Assamica varietal from India to begin production of black tea for exportation (black tea has a longer expiration date!). This was so as not to compete with Japanese green tea and to satisfy western demand for black tea. TRES was established and infrastructure was developed. 1945-1970s – Production shifts primarily to Green Tea for export (similar to neighboring countries). 1970s – A transition period. As the cost of living within Taiwan rose, Taiwan struggled to compete with Chinese and Japanese green tea for exportation. The government invests heavily into the tea industry refocusing it towards oolongs, the local favorite. The Taiwanese oolong of this area is generally much more oxidized than present day oolongs, see traditional baozhong or hung shui. The vast majority of Taiwanese tea is exported, although this is changing. 1980s-present – The push up the mountain and the creation of gaoshan. Before now, tea was almost exclusively grown at lower elevations (Dong-Ding was the highest elevation growing area until the 80s!). Because of the higher elevation, Gaoshan grows slower than lower-elevation areas and has more complexity. The focus is on quality over quantity. Fast-forward to today and tea is a major industry in Taiwan and has become increasingly self-sufficient. 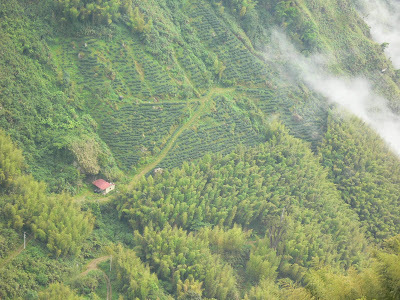 The local government invests heavily in both the agricultural portion of the industry as well as local tea appreciation (competitions, festivals, etc.). Taiwan consumes nearly 90% of their tea (Taiwan imports even more than they grow!) and produces almost exclusively oolong tea (93% oolong). What is exported is usually the top-end stuff (DYL 105K, Fushoushan, competition teas, etc.). Meanwhile with worldwide technological advances increases in technology it no longer takes six months on a rickety old boat to transport tea to Europe or the Americas. So what does this all mean? (1) Most tea is consumed locally and (2) shipping time for Taiwanese teas has gone down dramatically because of reason 1 and globally due to technological advancement. These two factors as well as the consumer’s changing tastes have lead to the dramatic rise in popularity of the nuclear green oolong. A nuclear green oolong can be defined as a green oolong with extremely minimal oxidation (very close to the unoxidized green tea). Another, less glamorous and not totally synonymous term usually reserved for pu’erh is maocha. Maocha refers to teas that need additional processing before being consumed. Maocha can be thought of as tea directly from the processing plants immediately after drying (skipping steps required for finishing: trimming, roasting, and sorting). How Common is Nuclear Green Oolong/Maocha? Simply put.. Very, very common. Tony of Origin Tea has told me that well over half of the premium tea in Taiwan classifies as maocha. Why is this tea especially common amongst pricy, premium teas? This is largely market driven. The higher-elevations of the Da Yu Ling, Lishan, and high-mountain tea regions create far slower-growing conditions. Farmers working at these elevations will also usually use slower-growing cultivars. Cliffy terrain (especially in Shan Li Xi/Da Yu Ling) also help to contribute the difficulty and relatively small size of high-mountain harvests. The end result: less tea. The growing conditions cause farmers to sell their tea at a premium cost. This makes nuclear green maocha especially appealing to risk-adverse, high-elevation farmers with a relatively small but valuable yield. As long as people will purchase up their maocha, there is no need for the farmer (or anyone else!) to take the risk of “finishing” the tea. A frequently referenced problem with unoxidized green tea and the minimally oxidized nuclear green oolong is the quick degradation of tea quality as time passes. A large amount of this premium tea is exported (China/Japan). Nevertheless this problem has been mitigated with fast air shipping and vacuum sealed bags have helped to mitigate the problem of transportation time and enable the timely consumption of minimally processed oolongs around the world. Why Do People Like Nuclear Green Oolong?? Maocha or nuclear green oolong itself doesn’t necessarily make for bad tea. Lin’s farm known as DYL 105K (famous for being Taiwan’s highest elevation growing location) always produces tea in this minimal style. Green tea is the most popular type of tea in nearby China, Japan, and Korea and these green oolongs are Taiwan’s answer to their unoxidized cousins. Consumed fresh, maocha can be an extremely tasty and appealing due to its fragrance and aroma. These types of pleasures are more immediately alluring and especially appealing to newcomers to tea. This trend is also driven by the consumers of premium Taiwanese tea. Even though, Taiwan consumes enormous amounts of tea, most of Taiwan’s exportation of tea is premium high-mountain tea (especially after the financial crash of 2008). The chief importers are China and Japan. 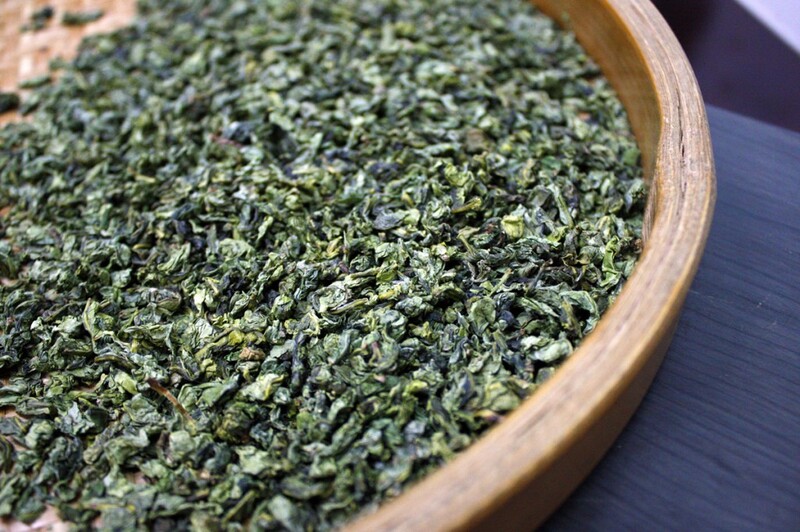 Japan itself produces 90% green tea, nearly all of it consumed domestically. China also produces over 70% green tea and is undergoing a similar trend with nuclear green Tieguanyin. Minimally oxidized tea requires less processing and work for the farmers. Less processing, it looks, smells and tastes great! So what’s the issue?? Why You Should Hate this Trend! Since the 1980s this trend has rapidly become the standard and inevitably bled into local tea competitions (and into teas where it does not belong), perpetuating a cycle creating a single-faceted tea not totally unlike a Korean beauty pageant. This has been recently witnessed in Hsinchu during an Oriental Beauty competition to horrifically comedic effect. Examples like this help to outline perhaps the biggest victim of this trend.. Interesting styles of oolong that are no longer fashionable. Taiwan has some of the best terroir worldwide for growing tea and most of it is being used on an occasionally beautiful but often monotone type of tea. Many types of Taiwanese tea has followed this “greener is better” trend. Modern-day Baozhong is far less-roasted and oxidized than its traditional form. Similarly, Dong-Ding has become increasingly green and fragrant. Muzha Tieguanyin has significantly decreased in popularity. The once popular and premium Hung Shui Oolong, is nearly impossible to find at higher-elevations and has become more or less a basic black tea alternative. Oriental Beauty is the least changed, but even Oriental Beauty has been the occasional victim of this trend. Perhaps due to similar factors, Chinese Tieguanyin has trended in a similarly depressing fashion. Due to it’s minimal processing nuclear green oolong stores very poorly (this processing also makes it vulnerable to external variables like weather). Oxidation and the finishing process both help to improve the robustness and preserve the freshness of a tea for its long journey across the sea. The freshness of this trendy tea dissipates quickly and are best consumed quickly. What was originally a great tea can become a disappointing one alarmingly quickly. Frequent consumption of “nuclear green” maocha is also harsher on the body and is difficult on the stomach. Taiwan has some truly great terroir and Taiwanese oolong is a great and grand genre of tea and low-oxidation oolong is perfectly capable of being a very, very good tea. Personally speaking, us at TeaDB do enjoy minimally-oxidized high-mountain oolong a great deal. Nevertheless, it is a tea tragedy for us tea nerds that desire and want a healthy amount of diversity in our Taiwanese tea. This entry was posted in Article, High-Mountain Oolong, Long-form Article, Low-Elevation Oolong, Oolong, Taiwanese Oolong and tagged Origin Tea. Bookmark the permalink. A very interesting, and thought-provoking article, guys. Many thanks! Happy tea drinking over the holidays!